Outside my window..........are signs that we had rain this past week-end. The grass needs mowing, and my newly potted plants are thriving, both signs that they got a lot of watering and must have enjoyed it. I am thinking...........that life really is short and I need to start making more out of my days. Not that I do not enjoy my days, I do. But, I need to be out, meeting the needs of others more than I currently am. It might just be visiting with an elderly person, or a young Mom, but in either case, I could probably offer encouragement to them both. This would be something with eternal value and so much of what we can busy ourselves with today has no eternal value. I am thankful for...........a husband with a "giving heart." If he hears or knows of a financial need and it is worthy, he will help out in some way. The need depends on the amount and he is always careful to do his best to know that it is indeed a "real" need. Just this past Friday evening we were at Lowe's and were loading the items we had bought into the back of our vehicle. While doing so a very loud truck pulled up and stopped right beside us and the driver rolled down his window. He began to tell us how he needed gas money to get somewhere. Well, I must tell you, it scared the "be-jibbers" out of me but Hubby carefully asked him a few questions and then handed him a $10 bill. I left like it was a scam and told Hubby that, but his reply to me was, "that is his problem if it was indeed a scam, but I did what I felt was right in my heart." If he had been absolutely sure the man wasn't lying he would have given him more. Who knows, but that is not ours to decide. From the kitchen..........tonight will be grilled chicken breasts, a rice dish and some vegetable that hasn't been decided up on at this time. Then some time this week I hope to try out a recipe I got off of one of my "blogging buddies" site. It is "Chocolate Almond Crunch" (click on name if you would like recipe) and we love almonds around here and of course, chocolate is always good. The picture she posted of it was yummy looking. I am wearing..........dark denim knee shorts, a white 3/4 sleeve top with "sparkles" on the front and denim flip flops. I am creating.........hopefully a warm, inviting, comfortable home for my family and friends to enjoy. I am going...........no where important, just likely around our little town this week. I am reading.........still reading "Her Mother's Hope" and the book of James. I've been reading certain books of the Bible 3 times each for the past couple of months. I've chosen books that have profound messages and even after being in the Word my entire life, I'm still learning. I am hoping...........that a precious older lady friend of mine will get a better report than she is expecting this week when she has a lung biopsy done. She will be 91 on Friday and until recently has been blessed with unbelievable good health. She's a most inspiring woman! I am hearing..........the Easy Listening music playing through the cable on our TV. I am not a daytime TV person at all but I do enjoy pretty instrumental music throughout the day. One of my favorite things..........is the feeling of being "caught up." I know, that's weird, but I can't help it. I can get in a "tizzy" when I am behind on things. Of course, I am definitely at a stage in life where it is a whole lot easier to stay caught up than it was when the children were home. It does still happen, but not often. So, all you young Moms reading this, just know that you won't turn around twice and you'll be all "caught up" too. A few plans for the rest of the week.........will do some advance food preparation for our daughter and family's arrival next week for a few days and will be keeping our Granddaughter this Friday and not sure what else, but I'm sure I'll manage to find something. I always do! 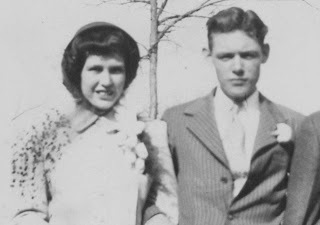 This is my Dad and Mom are their wedding day, April 8, 1950. Aren't they just too cute! The Lord blessed them with 58 1/2 wonderful years. My Mom was taken very suddenly, by a massive stroke, on Dec. 1, 2008. This picture brings a smile to my face and I am so thankful for my Mom's 78+ years and am so thankful to still be enjoying my Dad. 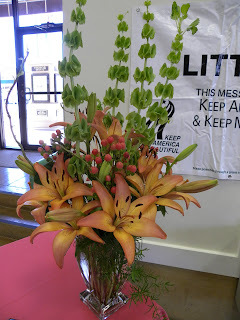 For more daybook reading check out The Simple Woman's Daybook. After my Mom passed away on Dec. 1, 2008, my Dad began keeping a diary to journal the grief that he was experiencing after losing his mate of 59 years. As he would make an entry he would email it to my 2 brothers and myself. What a treasure! In the early months following her death these entries were quite frequent, but as time went on, they grew less . When I got online this morning to check my email, there was a new entry to his diary. I wanted to share just a "snippet" of it with you. We thought that we had gone through and found any and everything that Mom had left, but this past week Dad ran across some papers that Mom had kept some of her "secret thoughts" on. On one of those papers was a poem that she had written to me but had never given to me. It was written when I was going to my first big "whing ding." I was a Junior in high school and had been invited by a young man to Bluefield College in West Virginia to attend a big May Day celebration. I remember it like it was yesterday. Mom had made me a beautiful formal dress to wear and I felt just like a queen when I put it on. I was excited beyond words about this event and following is the poem that she wrote to me concerning that week-end. Did you know my darling daughter, you were heaven sent? It seems only yesterday I had diapers to starch. Now you are so grown up and I feel kinda sad. I'll try to be understanding and not act so bad. But with your heart pounding madly, it can get out of hand. But the devil's just waiting so please don't get caught. We'll see you Sunday and hope you'll bring cheers. I have no idea why my Mom did not give the poem to me at that time, but perhaps it was written just for her to express her feelings. Perhaps she thought that someday she would give it to me or I would find it after she was gone. Memories of her are so precious to me and not a day goes by that I do not think of her and miss her. Below is the last picture taken of me and my precious Mom. 1. Ever had any run-ins with the "library police?" I have not and it has been several years since I've been to a library. The internet serves as my library now. 2. Do you have a special organizational plan and place for wrapping paper, gift bags, etc., or do you just purchase whatever you need as you give gifts? Well, until about a year ago I had a gift wrapping and gift basket business. So, I still have lots and lots of supplies left and it is all very organized in a small room at my husband's office. I enjoy seeing just how creative I can be with wrapping and packaging. 3. Have you ever been in (first-hand witness) a natural disaster? No, thank goodness! 4. What's your favorite Barry Manilow song? Oh, I do love Barry Manilow and one of my most favorite songs of his is "Can't Smile Without You." 5. What's the best costume you've ever worn? I was a "flapper" from the "Roaring 20's" many years ago and my costume was so cute with all the fringe and the head dress. I still have it! I keep both right by my desktop computer but use the dictionary much more often. 7. What's your favorite breakfast food? Well, I love bacon and when you add waffles to that, it's just "plum" good! Not directly off the TV, but Wal-Mart always has a section with a lot of those items in it and I've bought some there. The last item was those green plastic bags that are suppose to keep fruit fresh longer, I can't remember what they are called. They have not worked for me. 9. Have you ever crawled through a window? Perhaps when I was a child, but if so, I can't remember it. 11. How man pairs of jeans do you own? I probably own about 8 pair in different styles and different washes and colors. Every time I put a pair of jeans own I thank the person that started adding that bit of Spandex to them. Y-e-s, it spells commmmforttttable!!! 12. If someone were going to bake a cake to honor/represent you, what would it be? (Think creatively, like Duff and Crew on "Ace of Cakes.") Now, I will have to explain this, but it would be a MOUTH. Since I love to both talk and laugh, it just seems like the appropriate representation of me. And, I would love to see Duff and Crew's creation of my mouth. And, they would have to make sure that I had lipstick on my lips. I do love me some lipstick! 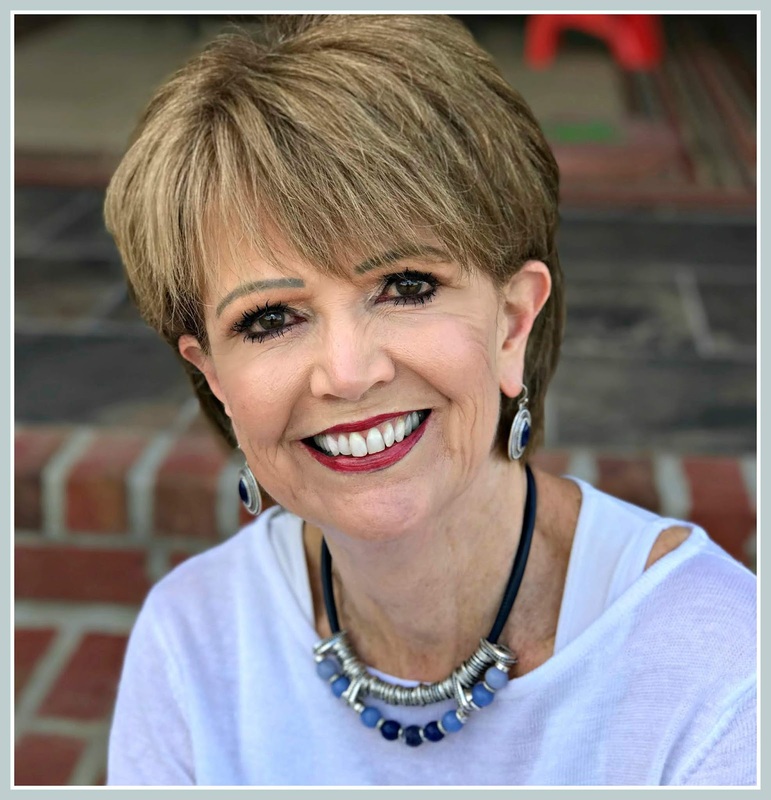 If you would like to join the Random Wednesday fun, check out Linda's 2nd Cup of Coffee. Outside my window..........I see the "twinkle lights" sparkling on our patio. We have very pain stakingly place them around the canopy over our patio and they add such a nice touch in the evening time. I've always liked clear "twinkle lights," they remind me of the stars and make me happy. I am thinking........about what a great week-end we had with Hubby's sister and her husband. They are from Georgia and we made some fun memories while they were here. I am thankful for..........the opportunity that I had to hear my Dad preach again yesterday. At 80 years old he doesn't really have all that many opportunities, but he's had two in the past month and I've gone to hear him both times and received such a rich blessing. His sermon yesterday is likely one of the Top 10 sermons I've ever heard. The "jest" of the sermon was that we as Christians need to be the best Christian that we can be all of the time. Sounds pretty simple, but it was very provoking! From the kitchen..........I made a batch of Bran Muffins this afternoon. I found the recipe on the internet. They are called "Kellogg's Best Bran Muffins" and they are the BEST I've ever eaten and are so, so easy and quick. Not sure what this week holds in the kitchen, but I'll come up with something. ~smile~ We had leftovers for dinner this evening. I am wearing..........brushed flannel top and matching pants. I call them my lounging PJ's. It is very cool tonight and I put them on to get warm. It is suppose to get down to 47 tonight. Ugh! I am going..........well, no big plans for this week. Of course, I can't go a week without going to Wal-Mart and do have a list of items needed from there. Tomorrow is "trim and color" day for the hair, so will be going there and quite sure that as the week goes by, there will definitely be other places to go. Looking like a rather calm week. Yea! I am reading........."Her Mothers Hope" by Francine Rivers. I'm just getting started, but as usual, Francine's books are marvelous! I am hoping...........that all of the unrest and "riff raff" going on in our country will somehow resolve itself and we will be united and all headed in the same direction. I am hearing.........Fox News on the TV and Hubby filing his fingernails. Interesting combo, uh? Around the house..........there's clothes to be folded on the couch,but I did all the ironing earlier today. Also got the linens changed and washed on the guest room bed and bath and things are in pretty good order. I had a most productive Monday! One of my favorite things...........organization. I am an "organizational freck." I love to keep things in order, in a file, in a container, a ziploc bag, or whatever item can be used for organization. For me, an organized life is a calmer life. Here is a picture for thought I am sharing................our side yard with the gorgeous azalea's in full bloom. I'm so sorry that they do not stay in bloom for a long time, but we certainly do enjoy them while they are wearing their "smiling faces. 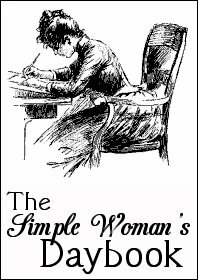 For more reading pleasure, check out more Simple Woman Daybooks. Oh, how I missed you girls last Friday! I was in Virginia visiting my Mom's family and just did not have the time to think about blogging. But, I did think about you and missed our visits. I left last Wednesday (the 7th) headed to Newport News, VA. (my birthplace) All that I have left of my Mom's family is in that area of Virginia. The main person I went to see was my Mom's oldest sister and the only sibling left out of five children. 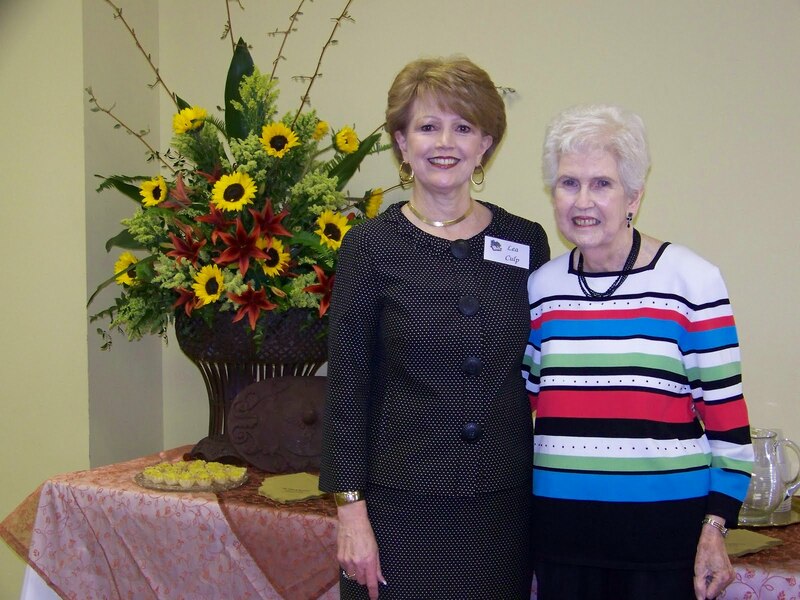 Can you believe that she (pictured below) will be 88 years old on May 12th? I can only hope that I have inheirted some of her genetic makeup. She has been a widow for 9 years and is the Mother to 4 sons. She lives alone, loves to work in her yard, is always doing something for someone, still drives and is as "sharp as a tack." I love her dearly! wandering through "Charming Charlies. Now, if you've never been in a "Charming Charlies," you need to go if you have one nearby. I don't think I've ever seen anything to compare and it really was a bit overwhelming to me. But, if there is an accessory that you need, in any color that you need, they WILL have it. While it was good to go, it was good to get back home. Hubby was mighty glad to see me! And, again, it's good to be back in touch with The Company Girls! For more great Company Girls, check out Rachel Anne's Home Santuary. You'll be glad you did! I was the first entry today. WOW! what an honor to be first on Rachel Anne's list! 2. Why is it called a "drive-through" if you have to stop? (Real question: What was the last food/drink you purchased at a drive-through?) Funny you would ask, I had a Chicken Strip sandwich and iced tea from Sonic for lunch today. I do love me some Sonic and their commercials are just the BEST! 3. As I type this, the Butler Bulldogs are getting ready to play in the NCAA championship game. Every Hoosier is hysterical about this except me. So in honor of the Bulldogs ... what is your favorite breed of dog? (I tried.) Since we have two Labs, guess that would make it pretty obvious that is my favorite. But, really, until Rosco and Rhett came into our lives, I pretty much disliked dogs very, very much. That is a long, long story and I will not bore you with that today, but just know, that Rosco and Rhett are "tops" around here. 4. If you had to choose another state to live in, where would you choose to move? Well, that's a "toughie" but I think it would be Florida, strictly for the weather. 5. If you could change anything about the way you were raised, what would it be? I don't think I would change anything. My parents were awesome, not perfect, but raised me and my two brothers to the best of their ability in the ways of the Lord. Who could ask for anything more? 6. Who's the funniest person you know? One of the funniest is one of our dear friends, we do a lot with he and his wife. He is so funny and so, so quick and he's a Dentist and is always making you want to laugh while he's working in your mouth. Go figure! 7. Did you get enough sleep last night? Definitely! I usually get somewhere between 7 to 7 1/2 hours each night and I almost always feel rested and ready to go when I get up. 8. What's the first thing you thought about this morning? Getting all my "ducks in a row" so that I would be ready to fly to Virginia very early in the morning. 9. Grilled or Fried? --HONESTLY Well, honestly, I prefer fried, but do not eat it all that much. First, I refuse to fry in my kitchen, so if I eat fried, it is when we eat out and I try to eat healthier than that most of the time. But, there's not much better than fried chicken, shrimp, or fish. Yummy! 10. Are you afraid of the dark? No, but I prefer to leave an outside light on when we are going to be out after dark, more of a safety issue than fear. I definitely prefer a dark room to sleep in, that's why I have both lined drapes and a room darkening window shade over our double window. 11.When you were a kid, what did you want to be when you grew up? The very first thing I ever remember wanting to be was a Lennon Sister. Yep, that's right! Those of you under 50 reading this probably don't even know who they are, but they were a quartet of sisters that sang on the Lawrence Welk Show and I thought they sang beautiful and looked beautiful and I wanted to be one of them. How funny! 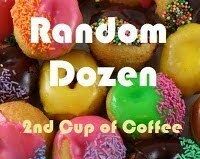 For more Random Dozen, check out Linda's Second Cup of Coffee. Outside my window..........the sun is shining ever so brightly and a few hummingbirds have found their way to my Hubby's feeders. I am thinking.........about my trip to Virginia on Wednesday. I'll be flying to visit my Mom's sister, who is the only sibling left out of 5. And, the odd part is that she was the oldest sibling. She will be 87 in May and acts like she is about 65. So amazing and so inspiring! I have other relatives there too that I will get to see. It is very special to me to go back to my Mom's home, especially since her death 15 months ago. I am thankful for...........always being able to find something to do. I hear folks at my point in life say they are bored. I think I can say that I have never been bored in my life. I like to be busy, not busy, busy, just busy. ~smile~ I have a lot of interests, thus it's pretty easy for me to fill my time here at our home, with my family, at our church or in the community. I am creating.........some new decorations for our kitchen island and the dining table since Easter is over. Always hard to come up with something this time of year since there is no big holiday coming up. I usually just go with something "springy and summery." I am reading..........mostly blogs right now. I'll finally be starting a new book while I'm flying this week, but for now, I'm so enjoying reading others blogs. It's so interesting and so much fun! And, most importantly, I'm reading the book of Philippians through 3 times in succession. Yes, I've read it many times before, but am taking books of the Bible and reading them over and over so that they become more a part of me and my life. James will be my next book. I am hoping........that I do not run into any delays on my flights to and from Virginia. I really use to love flying, but now, not so much. All the security measures drive me crazy and it seems delays are more common than uncommon. But, I'll ask the Lord for an extra measure of patience and I'll be fine. I am hearing.......the buzz of the upstairs a/c and the hum of the computer. Sort of quiet at this time. Around the house..........3 loads of clothes laying on the sofa awaiting to be folded, but everything else is in good order. Oh, there is some ironing on the sofa too and I'm just about to take care of that in a few minutes. A picture worth sharing...........this is one of my African Violets that is blooming it's little head off right now. It's as though it is saying "Welcome Spring!" For more Daybooks check out The Simple Woman's Daybook. What a beautiful Easter week we have enjoyed! The weather has been absolutely gorgeous, our yard has greened up, the trees are budding and it's all a constant reminder of our great Creator and Risen Lord. Makes me happy all over!! I have had a pretty laid back week and those are really good once in a while. I kept our precious almost 6 month old Granddaughter on Monday and Tuesday and made some sweet memories with her. On Tuesday I dressed her up in one of her "cutesy" outfits and took her out to show her off. It was such fun and she performed royally for her CiCi. I tell you, her 15 pounds, plus the weight of the car seat, is just almost more than I can carry or manage. And, you almost have to have an Engineering Degree to get them strapped in these car seats today. Mercy, I don't know how these Moms do it on a daily basis. ~smile~ I see them all the time carrying the babies, plus a huge diaper bag on the other shoulder. It's scary when I think about the fact that my kids were never in a car seat. (no other child was either) We just laid them on the seat beside us or put them in one of those molded plastic infant carriers, which were totally unsafe! When they got big enough they usually just stood on the front seat beside me. Ohhhhhhhh! the Lord certainly had His hand of protection over them. We will begin our Easter by attending an Easter Sunrise Service conducted by my 80 year old Dad (he is a retired minister). Breakfast will be served following the service and then we will head to our church for regular church services. Then in mid-afternoon my Dad, step Mom and our son and his family will come over. I'm thinking we'll grill steaks and enjoy some good ole' family time. Sure wish our daughter and her family could make a quick trip from Oklahoma and join us. The Easter Bunny has a few surprises to share too. ~wink~ Do we ever outgrow the Easter Bunny? I wish for you my Company Girls a most glorious Easter and may He be as real to you this Easter as the day you first met HIM! Blessings galore! 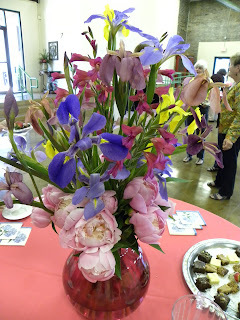 For more Company Girls Coffee check out Rachel's Home Sanctuary, you'll not meet a finer, more fun group of gals! 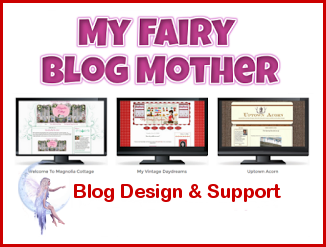 And, please know that I do not know why Blogger would not post my blog the correct way today. Totally aggravated me! But, I did not have all the extra space between paragraphs, or the funky font size differences and I've tried for way longer than I should to get it "fixed" and nothing has worked. So, I will post it "as is."